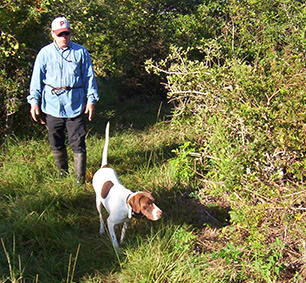 We specialize in the training, leasing, and sale of English Pointers, English Setters, Brittany Spaniels, German Shorthair Pointers, Boykin Spaniels, and several other popular breeds of bird dogs. 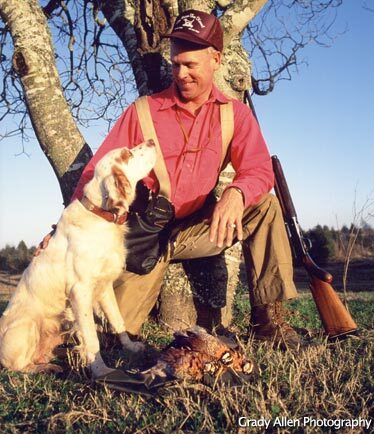 In our effort to remain a leader and innovator in our profession, in 1995 The Pecan Tree Kennel expanded its services to include the leasing of a fully trained bird dog(s) by the day, the week, the month, or for the entire season. Leasing of bird dogs has become a Smashing Hit! When I went to work at The Pecan Tree Kennel in 1986 as the kennel office secretary, little did I know that my job description would turn out to be as “interesting” as it has. I soon learned that jeans and boots were the daily dress code and not to be surprised if I was called upon to help administer medication, exercise puppies, and clean pens. Having a basket full of new puppies that need a little extra bottle feeding under my desk is a common site and I soon learned the meaning of “12:00 tail”, “backing”, and “soft mouth retriever”. 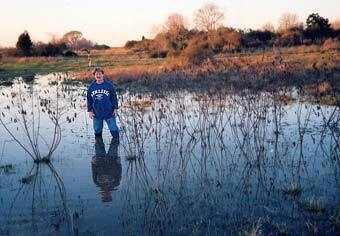 I quickly found out that in order to do my job, it would occasionally be necessary for me to “get my feet wet”! 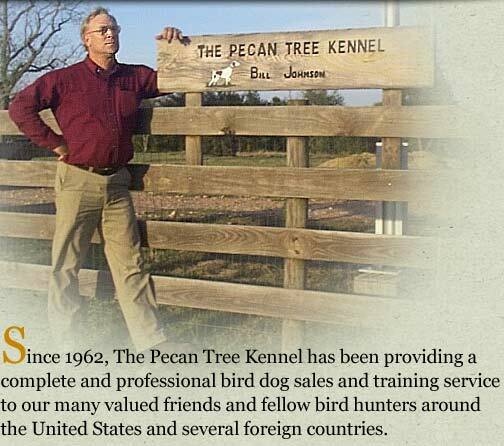 Zenaido Estrada, known to many of us in the bird dog world as “Si”, joined The Pecan Tree Kennel in 1993. Being blessed with a Love of Dogs and the Patience of Job, it is easy to understand why our dogs develop an instant trust and bond with Si. Si is the complete dog trainer, working with our puppies and our started dogs, as well as putting that polished edge on our fully trained dogs. 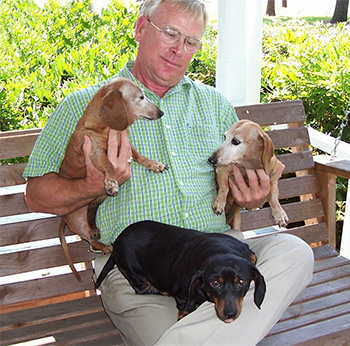 Once you have the opportunity to meet Si, you will quickly realize what an asset he is to The Pecan Tree Kennel. Zenaido, his wife Maria, and their four children Hector, Juan, Luis, and Claudia, have made Bellville their home for the past twenty-five years. 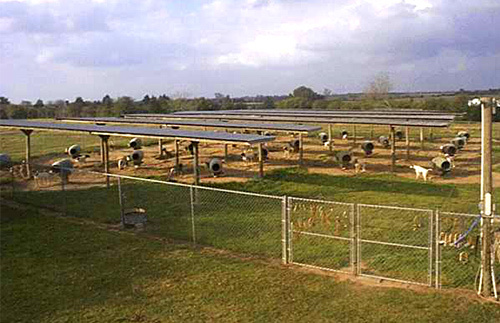 Our kennel facility, shown above, is located sixty miles northwest of Houston, outside of Bellville on 122 acres covered with lush, natural quail habitat. Our facilities are state-of-the-art and our kennels are thoughtfully designed and constructed to provide each dog with the maximum in safety and health conditions. 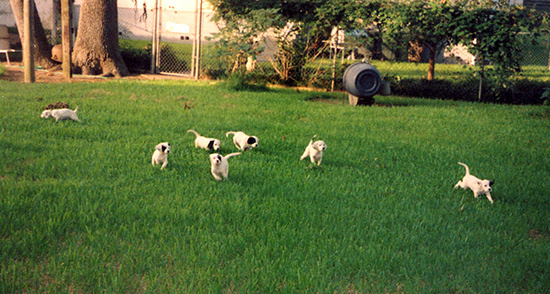 Our kennel office is located in the Bill Johnson Real Estate Company office, 420 E. Main St., Bellville, Texas. A technologically advanced security system provides complete recorded surveillance of our kennel facility and grounds, both night and day. Our Main Pens are constructed of chain-link fencing on a concrete slab and roofed. Each pen features a 5' x 10' run with large frame dog houses entering out the back side of the run. All pens have self-feeders, waters, and are equipped with electricity and connected to a septic system. and covered with a roof area. 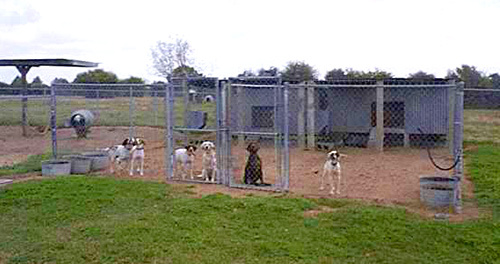 each dog is individually fed and watered each day. 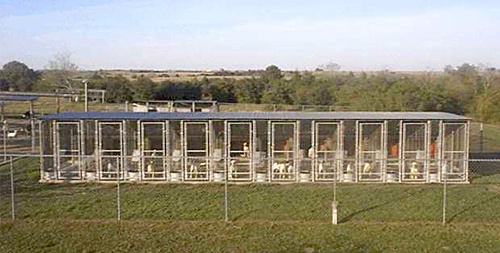 Our Welping Pens are designed for the safety and protection of our new born puppies. Each pen is constructed of six foot high chain link fencing with dirt floors. A large tin house is home to the dam and her puppies for the first several weeks of life. We are very proud of the fact that The Pecan Tree Kennel is governed by our Golden Rule! We Train Your Dog in the Field - NOT in the Local Coffee Shop! in our website for more detailed information. 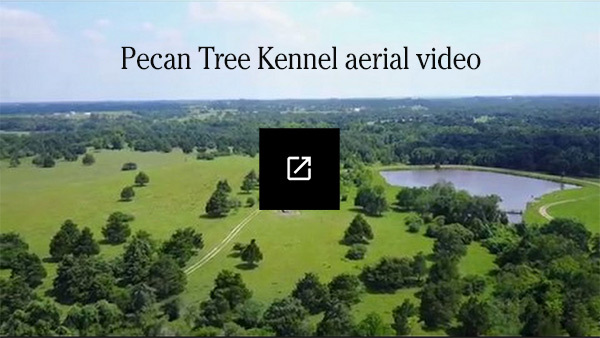 Thank you for taking a special moment to view The Pecan Tree Kennel website. I would like to extend a Hardy Invitation to you and your friends to come tour our kennel facility. Be it a House Dog or a Hunting Dog! please TEXT Bill Johnson at 979-885-8535 and be sure to provide your name and phone number. Please include your name, phone # and a message.